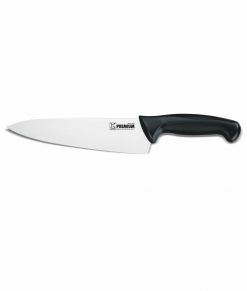 Professional chefs might be highly-strung types, prone to passionate arguments – but when it comes to Global knives, chefs everywhere can agree that these knives are the best around. 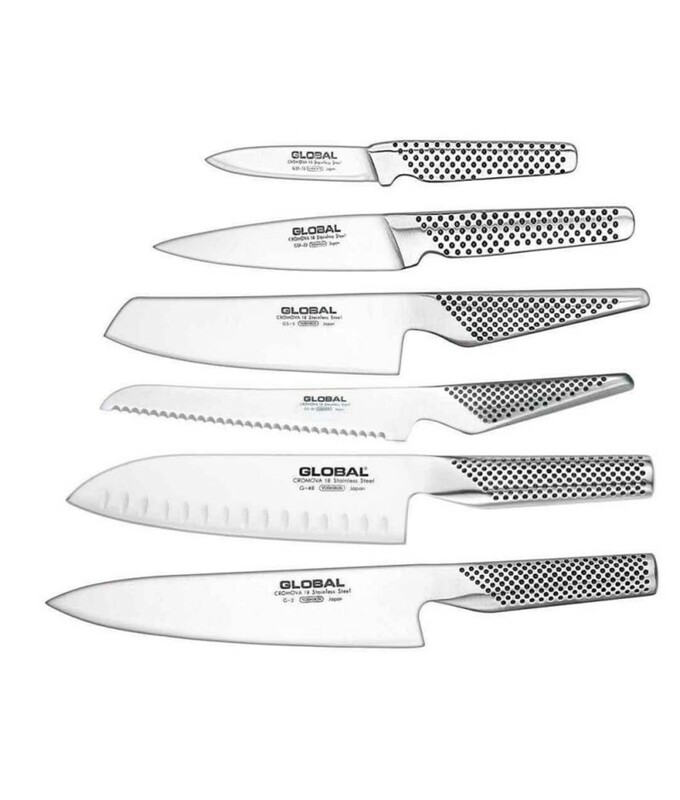 Global knives are renowned for their superior quality, their sharper-than-sharp cutting edges, perfect weighting, and their instantly recognisable design. 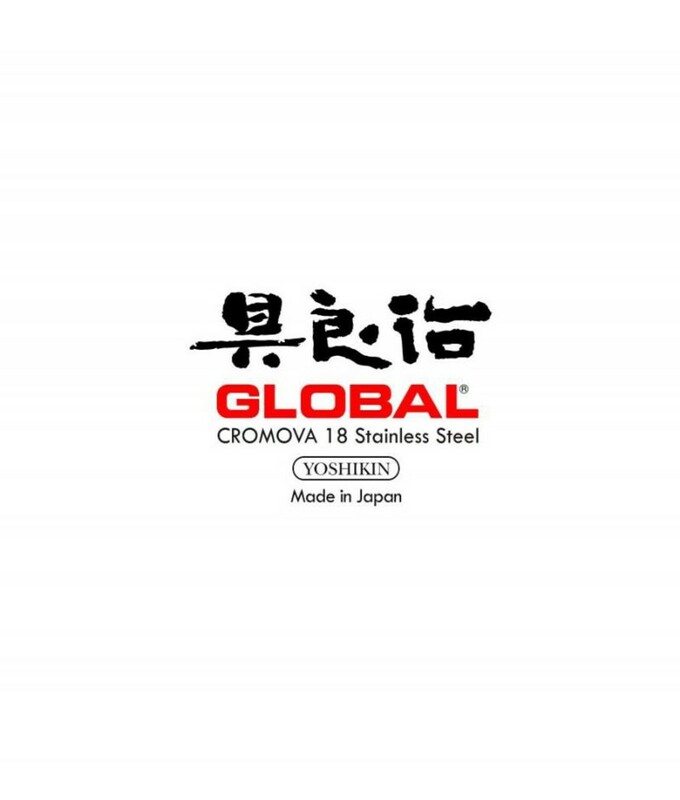 Global draws its manufacturing inspiration from ancient Japanese swordsmiths, who perfected the art of sword-making to produce strong, sharp blades for the samurai, while also taking ingenuity from German and Italian fields of technology and design. 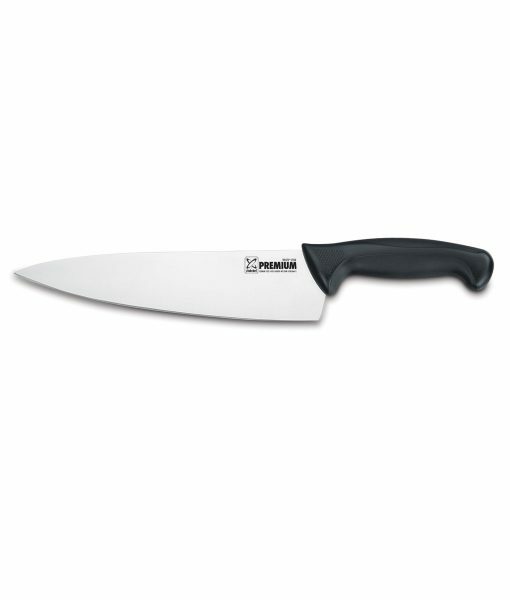 In short, if you invest in a Global knife, you’ll carry it with you, from one kitchen to another, for a lifetime. The Zeitaku Knife Block Set is a departure from banal knife blocks filled with knives you’ll never use – instead, it holds six adaptable knives in a modern block, including a paring knife, a sandwich knife and a cook’s knife. Each knife is handmade by Global’s skilled artisans, and are ergonomically designed for comfortable, controlled use, while their seamless design means that there are no rivets to work loose, or handles to break. 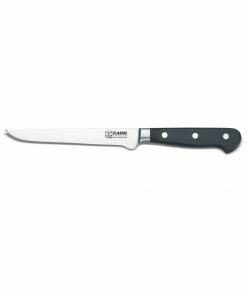 These knives are sure to lend true distinction to the chef who uses them – from the amateur to the professional. 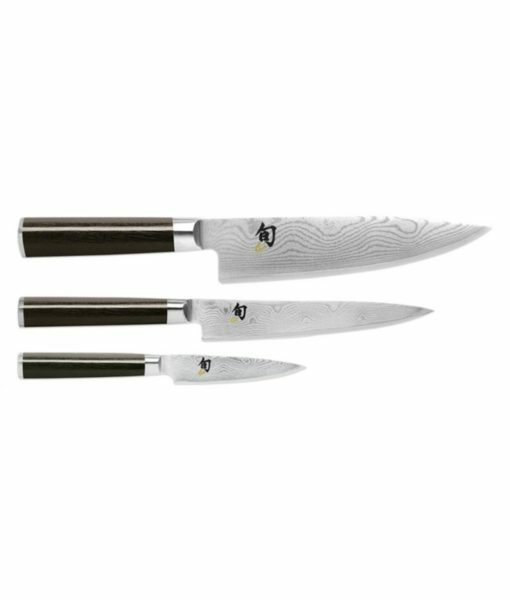 Knives are handmade in Japan from the finest quality stainless steel. 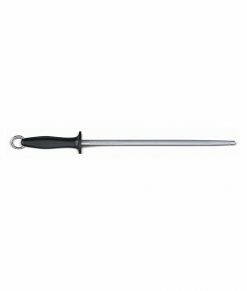 No rivets to work loose, or handles to damage. 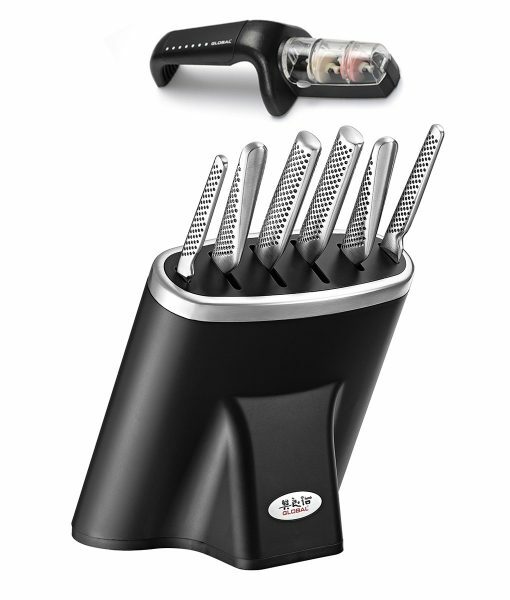 All knives are housed neatly in a black knife block. 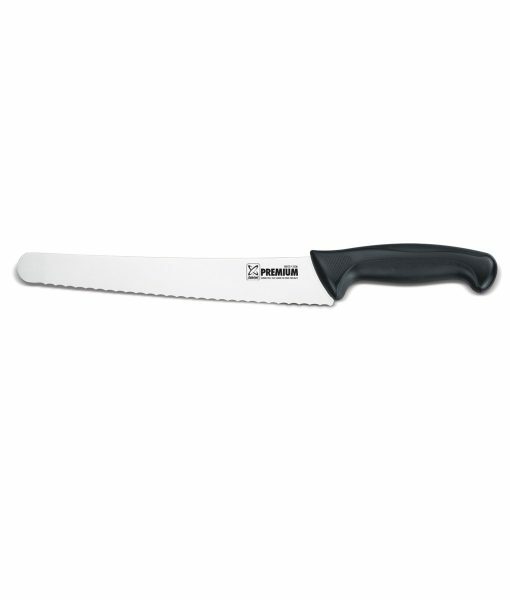 Periodic sharpening is recommended to maintain the ultra-sharp edge of the blade. 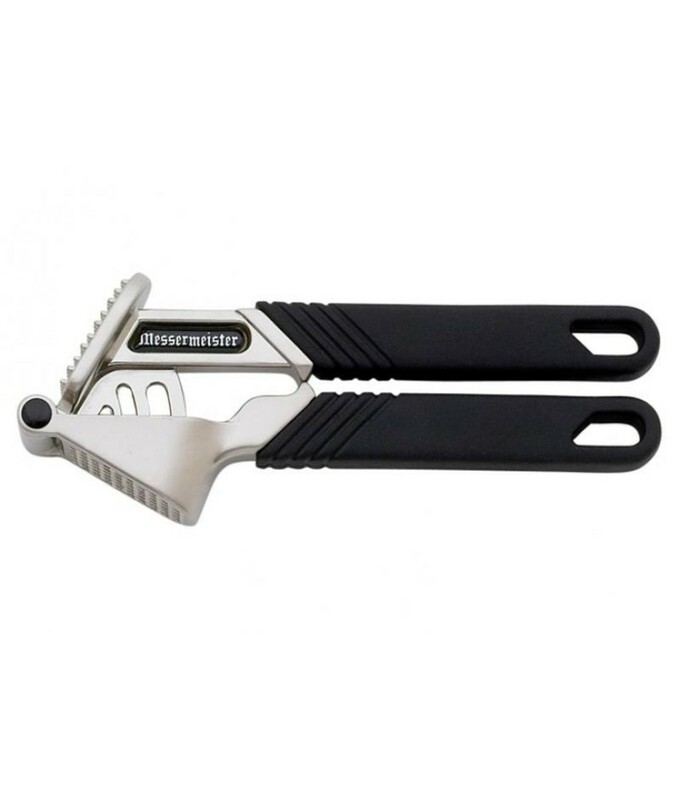 Use only with wooden cutting boards. Knife Block – 21 x 17 x 22cm.